Who says slow-cooker recipes are only for the fall and winter? These light and delicious creations are perfect any time of year! 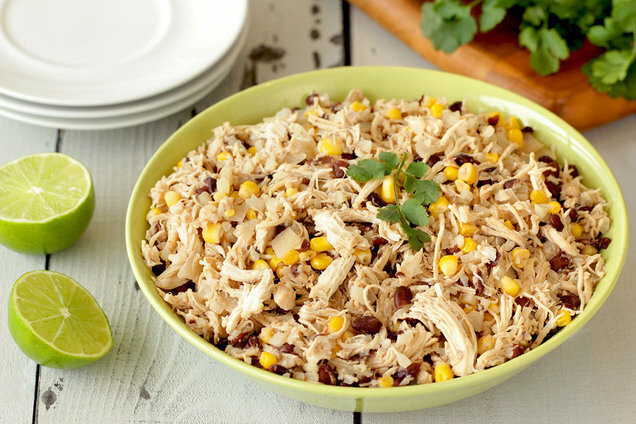 Anyone who loves Southwestern flavors will appreciate this recipe. Keep it simple, or dress it up with your favorite toppings! Place chicken in a slow cooker, and season with salt and pepper. Add all remaining ingredients except cauliflower. Stir to mix. Meanwhile, if starting with roughly chopped cauliflower, pulse cauliflower in a blender until reduced to rice-sized pieces. Add cauliflower rice to the slow cooker, and stir to mix. If cooking at low heat, increase heat to high. Cover and cook for 45 minutes, or until cauliflower rice is tender. In a slow cooker, combine crushed tomatoes, ketchup, vinegar, brown sugar, and garlic powder. Mix well. Stir in pineapple and its juice. Season both types of pork with salt and pepper, and add to the slow cooker. Top with onions. Gently stir to coat. Cover and cook on high for 3 - 4 hours or on low for 7 - 8 hours, until pork is cooked through and onions have softened. Transfer pork to a large bowl. Shred with two forks. 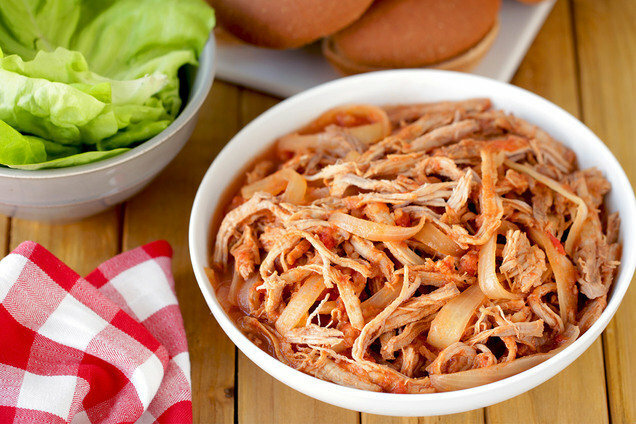 Return shredded pork to the slow cooker, and mix well. Hungry for More Healthy Slow-Cooker Creations? Today, April 6th, is National Caramel Popcorn Day. Time to make our Salted Caramel Popcorn Mix? We think so. Don't you want your pals to have good things? Share these recipes! Click "Send to a Friend" or forward them now.